Home » Addiction » What if We Are all Wrong About Mental Illness? What if We Are all Wrong About Mental Illness? Posted by thoughtfulness on Aug 4, 2017 in Addiction, Featured | Comments Off on What if We Are all Wrong About Mental Illness? In any given year, one in 5 American adults are said to suffer from mental illness. Some estimates say one in 4. 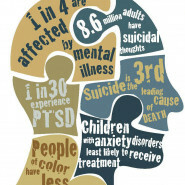 In a lifetime, 40% of us will have a mental health issue. Depression is the most common of these conditions, since ordinary life is full of ups and downs. The idea that we can pop pills and solve the problem is not really the answer. Nor is substance abuse. Psychiatry aspires to be accurate. Psychiatry will never have the type of precision that cancer diagnosis and other types of medicine have. The complex interrelationship of the mind, body, experience and environment will make such accurate diagnosis impossible. However, insurance companies usually require diagnosis for reimbursement. Since 1980, the DSM Manual has been the official guidebook of the Mental Health field. There have been four revisions, the latest in 2013. Today, psychiatrists, psychologists and social workers use the DSM-V for diagnosis. Each revision results out of considerable controversy. Even the DSM-V manual is controversial and may not be accurate. Since a psychiatric diagnosis can carry a lifetime of consequences while roping people into pharmaceutical treatments, we should keep working for greater precision. Discovering the root causes, instead of just treating the symptoms, will bring about better treatments. Somatic Symptom Disorders probably affect 5- 7 percent of the population. Those who suffer from these disorders have physical symptoms which cannot be explained by medical tests. Like many people who act out and display psychiatric disorders, those with somatic disorders are expressing distress. There’s a complex process by which the body relates to the brain and takes on the stressors of life. If the stressors happened in childhood, the likelihood of developing a somatic disorder (and/or dissociative disorder, borderline personality disorder), is so much greater. Somatic symptom disorders are probably 90% related to past experiences trapped in the body. The clinician’s job is should be to uncover the roots of the problem in order to treat or cure it. As is explained so well in Bessel van der Kolk’s The Body Keeps the Score, just giving pills to treat a psychiatric diagnosis, including Bipolar Disorder and ADHD, misses the mark. In most cases, Adverse Childhood Experiences that must be taken into account. If a doctor concentrates on restlessness and lack of attention, an ADHD diagnosis is given and the patient may get Ritalin. If the doctor focuses on mood swings, then the patient is identified as bipolar and prescribed lithium. The chemical imbalance theory of mental health problems cannot be explained as simple chemical imbalances. There has been much research into neurotransmitters, but Psychiatry has never proven the chemical imbalance theory. Our brains are not separated from our bodies; ignoring the mind, body and gut connections is a simplistic approach. Substance abuse disorders occur because of addictive personality disorders. There are many types of people prone to addiction, and boiling it down to personality eliminates elements of trauma and environment. Trauma and environment are probably the more likely indicators of why some people become addicted while others do not. Addictive behaviors are coping mechanisms to difficult situations. Genetics may account for 50% of addiction, according to ASAM. People develop substance abuse disorders because of underlying bipolar disorder. This theory is largely false. People develop substance abuse disorders because those with difficult life events find comfort in the substance and substances are addictive. Too often people have been cut out of addiction treatment by insurance companies if they don’t have dual diagnosis. It’s all in Genetics. Having a bipolar parent seals the fate of at least some of the children to be diagnosed as bipolar. Precisely how much is genetic and how much is environmental is not clear. Although mental illnesses do run in families, no one understands the genetics. After years of research, Psychiatry has failed to find a genetic link to schizophrenia, a fairly common but severe illness affecting slightly more than 1 percent of the population. The fact is that many genes work together. Disorders cannot be cured. So many people believe that they must take pills for the rest of their lives to deal with their conditions. The idea that all disorders are permanent is simply not true. On a recent episode (Aug. 3, 2017) of Dr. Phil, a 26-year-old Blake was on the show complaining of his mother and sister. Although he has a college degree in psychology – with a 3.5 average – he lives at his mother’s home and spends his days smoking pot. He has been threatening and abusive to his mother and sister. Despite his gifts, Blake is worried. His father began to have hallucinations and experience symptoms of mental illness when he was in his 30s. He abandoned the family when Blake was in his early teens. His father has since been homeless, and possibly suffers from schizophrenia. Blake’s behavior suggests that he was both worried and defensive about getting the father’s illness. Dr. Phil said that genetic predisposition to illness is only that, and it doesn’t mean that Blake will get it. Blake expressed genuine surprise to learn that daily marijuana use was increasing his chances of having a severe mental illness. In the end, Dr. Phil will be sending him to Origins Behavioral Health to treat both his depression and substance abuse. He would also be looking to find and treat Blake’s father. The link between marijuana and mental illnesses, including schizophrenia, is so strong that we need public service announcements to warn of this connection. If marijuana-induced psychosis is not stopped, it can lead to a condition of permanent psychosis which is schizophrenia. In some marijuana users, the diagnosis is likely to be bipolar disorder. Blake’s father did not develop his psychosis before he was 30, which suggests that drug use triggered the problems. Because psychiatric pills can be over prescribed and because they have serious side effects, some people dismiss all Psychiatry as if it’s black magic. Psychiatry will improve if it focuses more on root causes rather than just treating the symptoms. It’s not likely that studying genetics will unlock the root causes any more than it has. Avoiding substance abuse is as important to brain health as avoiding excess sugar for those who are susceptible to diabetes. At a time, 60% of Americans support the legalization of marijuana, this message is not getting out to adults, or to our youth. In fact, marijuana legalization is supported as a cure-all for psychiatric and pain issues. Cognitive Behavioral Therapy, Dialectical Behavioral Therapy and Mind-Based Stress Reduction techniques take time, but are worth the extra effort. Insurance companies should not stand in the way of these treatments. Congress should let SAMHSA (Substance Abuse and Menthal Health Services Administration) do its job. The DSM-V includes Post Traumatic Stress Disorder amongst Trauma and Stressor Disorders. There are many subcategories and it’s hoped that the extensive new classifications will give practitioners better diagnosing and treatment skills. Although children can have PTSD, there are distinct differences between Developmental Trauma Disorder and PTSD in adulthood. Medicine is an art as well as a science. We cannot change many things that happened to us in childhood. However, we can resolve as adults to avoid abusive situations. 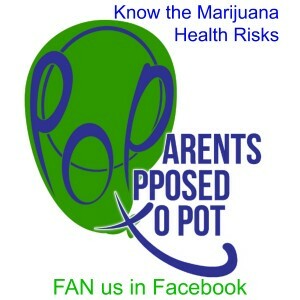 We can avoid substance abuse and stay clear of marijuana for pain or pleasure. Psychiatry and Psychology can resolve to do better. Let’s get away from handing out the pills and expecting magic results. Let’s make a commitment to help those whose trauma was extreme.